When you are visiting a secure website, Firefox shows a lock icon on the URI bar. The icon is small and in gray. It is somehow hard to distinguish the icon from the one for the insecure website unless you pay particular attention to it. 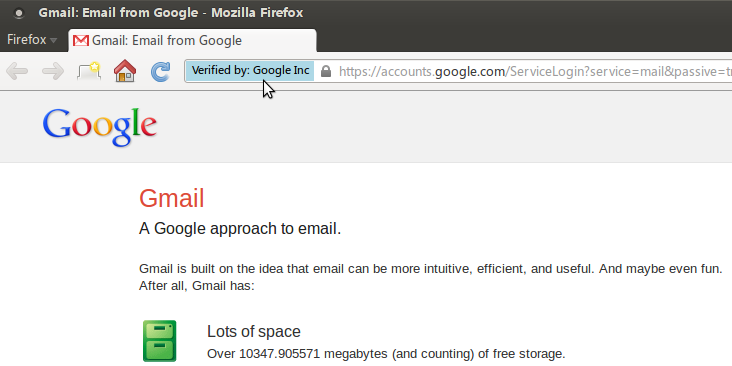 It shows a distinct light blue label beside the lock icon for a verified secure website, letting you easily spot whether a website is safe or not. The label prints who verified the website and issued the certificate. 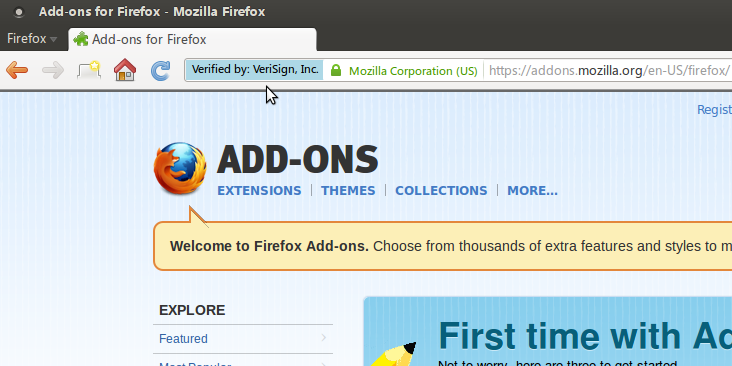 By seeing the verifier, you know whether the website is signed by an established orgnization or self-signed. 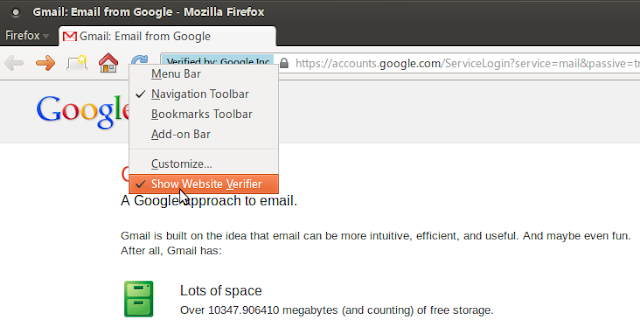 If you want to disable the extension, just right click on the toolbar. You will find a menu item Show Website Verifier. Click on it to switch the extension on or off. Bug with extension version 1.0 in Firefox version 30.0: activating tab groups (Ctrl+Shft+E) and returning (Esc) causes blue "show website verifier" to disappear, almost completely hidden by the back/forward navigation buttons until browser restart.